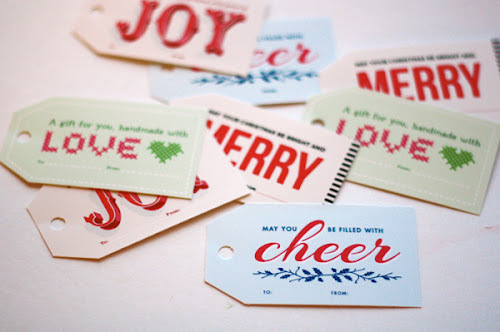 Today I'm sharing some free, printable holiday gift tags you can download. Help yourself to these typographic designs. I had fun trying out some Avery label stock the company sent over. 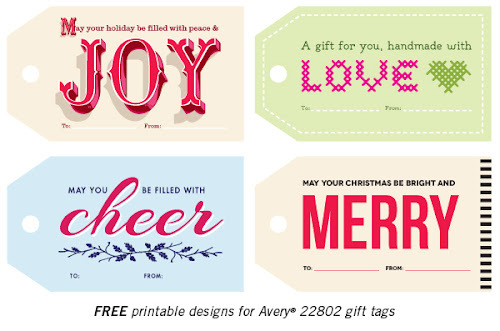 I've always thought of Avery products as being for business use, but their stickers and tags can make some nifty holiday gift embellishments. 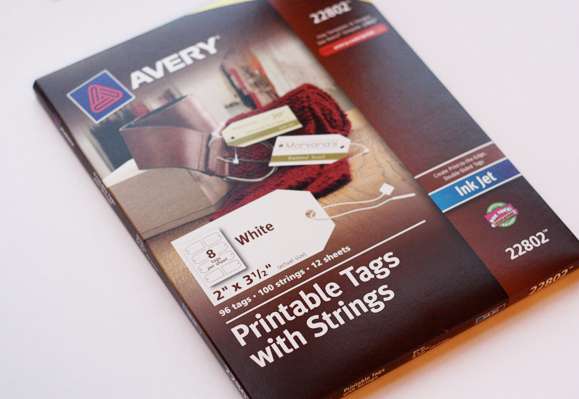 To make these tags, print the PDF at 100% size onto Avery 22802 Printable Tags with Strings paper. The tags are perforated, so just fold the paper back and forth a couple times along the edges of the tags to break them off. The edges turn out neat and clean. 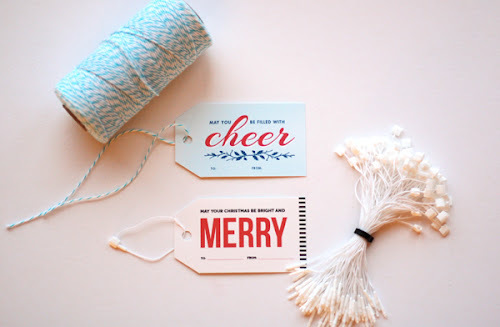 Then use the supplied strings with clasps that come in the package, or add your own pretty ribbon or twine to attach the tags to wrapped gifts, wine bottles, or the kittens you're giving all your friends this Christmas. Download the PDF for Avery perforated tags here. Download the PDF for printing on plain cardstock here (then cut out with a scissors and punch a hole in each tag). You got more free goodies? Lucky you! They look fun! I'd use one on the kitten I'm giving you guys for Christmas! very neat! love the fantaisie font for 'JOY' tag. am trying it but finding a little tricky to play with the shadows…colors etc. 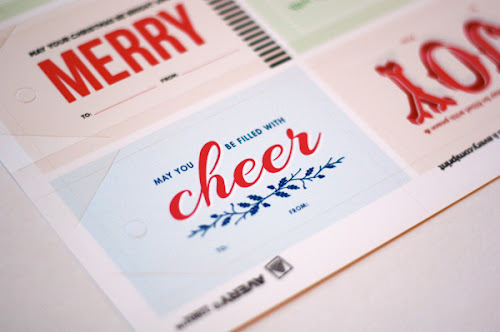 mind telling what is the font that u used for 'Cheer' gift tag? Very pretty designs, thank you for sharing. I didn't know they made these type of printable tags, im going to have to get some now! SJ, the "cheer" typeface is Arizonia. These are great! thanks for sharing it! SO CUTE--to attach them to the KITTENS we're giving them! Thanks!